Make a big impression for your big event. 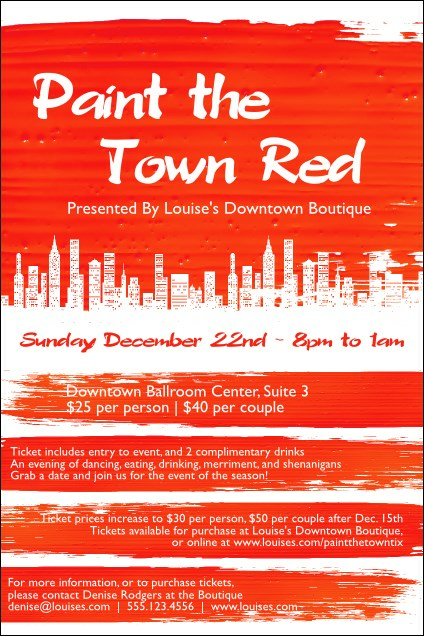 The Paint the Town Red Poster has lots of room for your event details, so guests will be in the know. Deep red artistically covers a white city skyline on this design. Pair it with matching tickets, flyers, or invitations in an event kit. Create memorable events with the help of TicketPrinting.com.